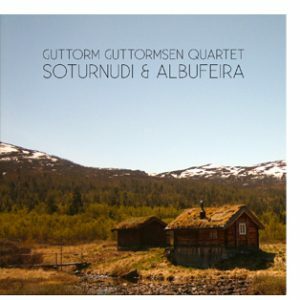 Plastic Strip and Jazzagression Records are proud to present the exclusive re-release of the Guttorm Guttormsen Quartet two rare albums, Soturnudi (1975) and Albufeira (1979) on CD and a limited edition pressed vinyl (500 copies only). Both albums are highly sought after items amongst record collectors in Scandinavia and is regarded as the hidden gems of the Scandinavian 70s jazz scene, partly because of the killer tracks Ny Latin, Sol Fa and I ro og mak. Both albums is colored by an original home made aesthetic that disregarded allot of highbrow jazz traditions- you can hear spiritual jazz, Latin jazz, folk music inspiration- but most of all there is an Norwegian lyrical quality to it. The Guttorm Guttormsen Quartet story is one of many groups who never ended up as jazz superstars, but shows the amazing wealth of creativity and quality output during the first golden era of Norwegian jazz. The sound has been remastered to the best quality possible from the original LPs since the mastertapes to the releases are lost.